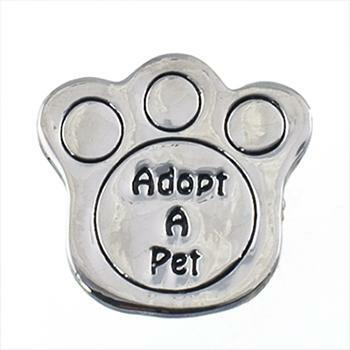 Silver "Adopt A Pet" Pin with paw print. Approx. 1.25 inches long. Super Star Tac in gold with crystals and red enamel.